Home / Conventions / SDCC Roundup! ABC Announces Talent and Booth Autograph Signings! 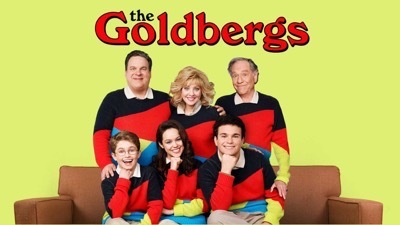 The Goldbergs! Nathan Fillion! Lauren Cohan! And More! SDCC Roundup! ABC Announces Talent and Booth Autograph Signings! The Goldbergs! Nathan Fillion! Lauren Cohan! And More! SDCC is almost here and ABC has announced they are bringing talent and more to the con! Check out the schedule below and ask at the booth for how to snag some tickets! Comic Con Roundup! FX Brings Legion to Life at FXHibition! An Immersive Mixed Reality Experience! Talking With The Cast Of Sleepy Hollow! Tom Mison! Len Wiseman! Orlando Jones! Katia Winter! And More!